The Fiat 500E uses prismatic cells from Samsung that are nearly the same size as the Yuasa, but with greater capacity (64 Ah vs 50). There is a 94 Ah version also that could be made to work. on the ad for them on ebay it says they come in blocks of 5 or 6 cells welded together.. I snooped around a bit but didn't see any pics of breaking the cells out from a block..
i ordered a 6-pak of those 64 Ah Fiat 500e cells and will cut the welds out with a milling machine or a dremel tool to free up some separate cells. Then will do some testing of capacity and measure actual dimensions. Samsung SDI looks promising. This single cell weighs 4.19 lbs. Last edited by kiev on Fri Mar 23, 2018 6:00 pm, edited 1 time in total. I'm intrigued; double the range of the iMiev? What's your next step? kiev wrote: Samsung SDI looks promising. Very exciting, kiev! I have a friend with more money and ambition than time for tinkering, so he has not just one, but two totalled Fiat 500e cluttering his driveway. Lemme know if you want to tackle a full pack rebuild! I have a spare i-MiEV battery, but it is perfectly good. I think that Ben sent away his flooded battery case along with the flooded car, the owner of which has not... surfaced on this forum. kiev wrote: Samsung SDI looks promising. This single cell weighs 4.19 lbs. I guess this one https://www.aliexpress.com/item/3-7V-50Ah-battery-Lithium-ion-50ah-bateria-for-DIY-lifepo4-12v-battery-24V-36V-50ah/32839868219.html does not have enough discharge current? Following this thread as I am very interested in upgrading our iMiev with a larger battery. For the time being however, we are considering making a Tesla battery pack range extender. 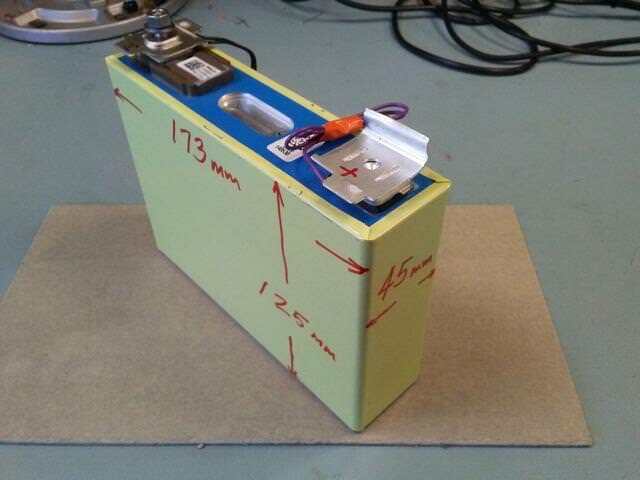 electronpusher wrote: Following this thread as I am very interested in upgrading our iMiev with a larger battery. For the time being however, we are considering making a Tesla battery pack range extender. Can you tell more about your extender idea? How would that tie in to the i-miev, how would it work? Also interested in this topic. My Czero has about 60000 km on the counter and range seems about 10% down although some could be due to tires or my son’s driving habits. Can’t help thinking that soon there should be an alternative solution to replace the batteries and boost our range to the 200km area. Last post on this topic was April 2018. Any news from advanced users ?